One of the most essential and versatile types of cable attachments. With a couple of these handles you can do tons of exercises. 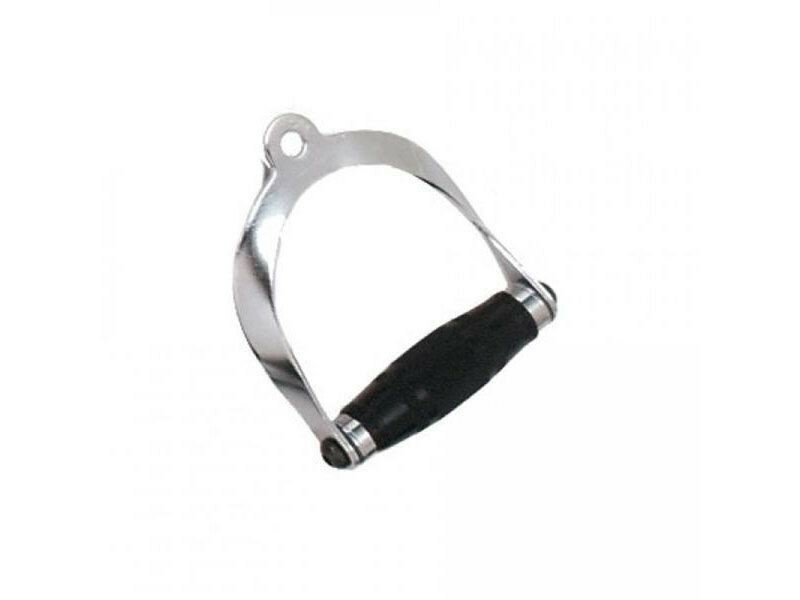 Unlike most other cable attachments, this handle has nylon bushings for a smooth rotation. A smooth rotation under heavy load is important for this particular attachment because you tend to be rotating it a lot during your range of motion for some exercises. Chrome plated finish. The rubber grip provides a comfortable grip that your hands won't slip on.